The RF-100 Reflection Filter is a must-have for home studios. 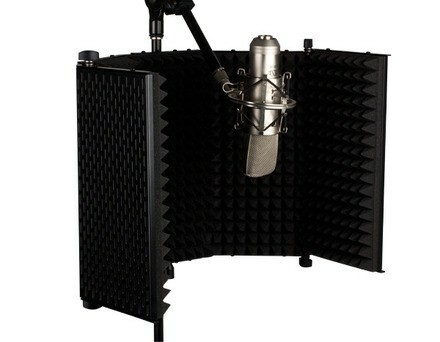 It offers portable sound isolation that reduces unwanted room noise and reflections in untreated recording spaces. The RF-100 has two adjustable side panels that let you adapt it to your recording environment. It comes with mounting hardware and works with most mic stands.